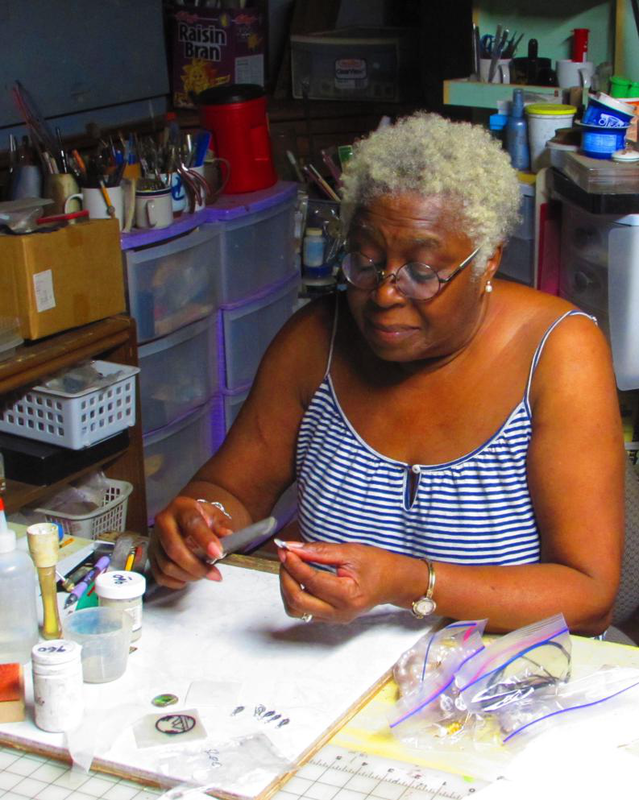 Alcina says she’s been painting and making jewelry since she can remember. 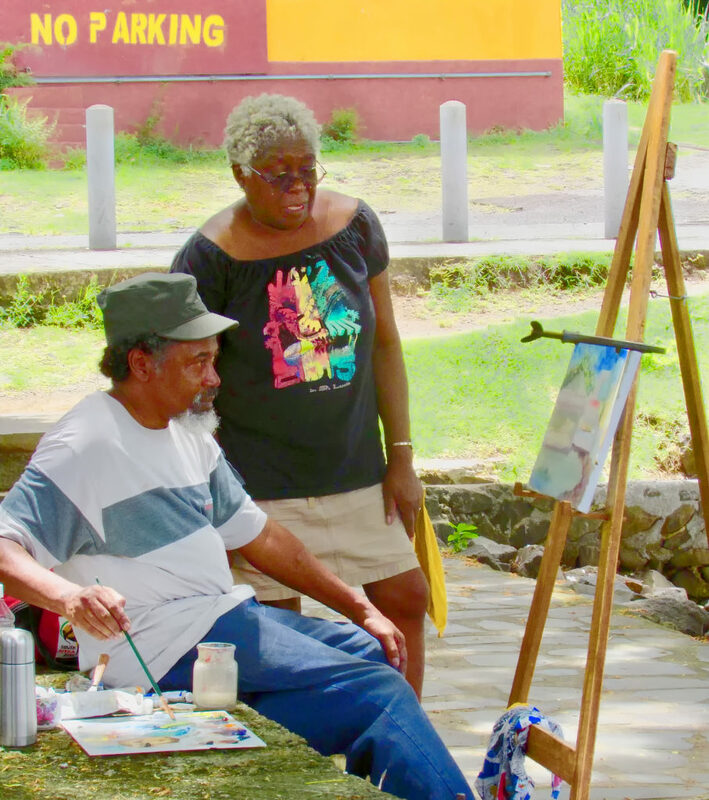 In 1994 she started creating digital art using painting software and now, using her iPad, often paints outdoors, enjoying the beauty of Saint Lucia. 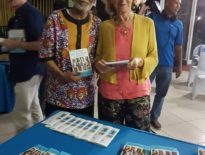 After living in Saint Lucia for 27 years, Alcina says, “I thoroughly enjoy the people and places here. Such wonderful subject matter, everywhere. I am proud of my St. Lucian heritage.” and we think her love of Saint Lucia shines through in her art and jewelry! Alcina also accepts bespoke commissions and we believe her art and jewelry make superb choices whether to spoil yourself, or to commemorate life events—weddings, anniversaries, any special moments and milestones. Are you an artist? Let’s find out! If you are one of the growing numbers of people who love learning, then ask Alcina about a class – painting in digital media or with oils; metal clay or other jewelry techniques. With this type of response from previous students, you can’t go wrong! You must contact Alcina before going as she is not open to drop-ins! Leaving Castries along the Millenium Highway, exit to the right just before the second tunnel (https://w3w.co/yoyo.rink.containment). Follow the road- be careful, it’s narrow. You’ll go over a speedbump then come to a 4-way junction, go straight across and up the hill. At the crest of the hill you continue straight down and the road curves to the left. At this point you will see the sea to your right. Continue on until you come to a junction with a road on the right. Take the right hand road and Alcina is the first driveway on the left. Download the What3Words app to be able to accurately pinpoint places to within 3 metres. Use with your favourite navigation app to get driving directions.